This recipe is similar to the Chocolate Energy Balls recipe, but is a cheaper alternative (buying four kinds of nuts can get expensive). You can freeze these or eat them at room temperature, and they are a great no added sugars snack when you are on the go. Place dates in a food processor and blend them until they form a ball. Add oats, peanut butter, coconut, vanilla and water and blend again, scraping down the sides of the food processor as needed. When the mixture is uniform, scrape out the mixture onto waxed paper. Line a Tupperware container with waxed paper. Pour shredded coconut into a small bowl for coating. 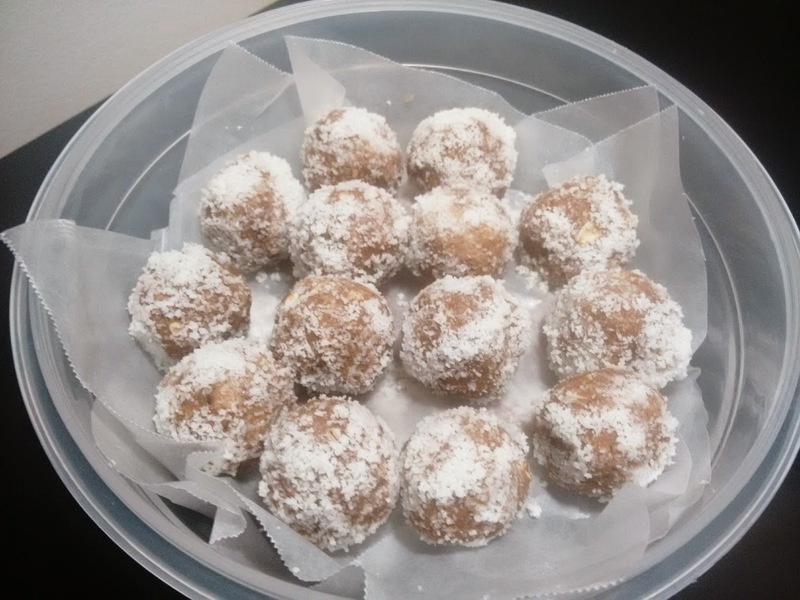 Form small balls of peanut butter mixture then roll in coconut. Place in container. When all the mixture is rolled and coated, place in freezer.